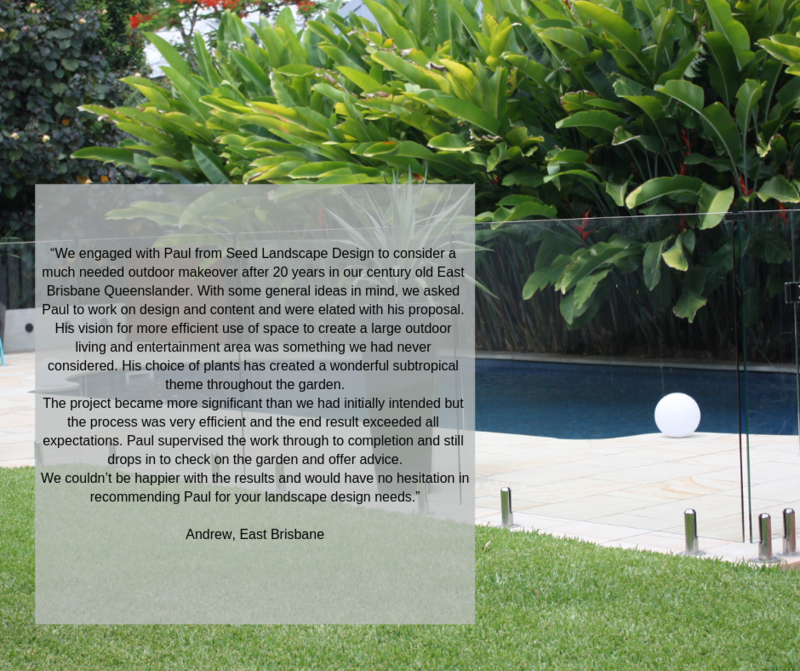 Landscape design for a high-end property in Hamilton, Brisbane, with distinct lifestyle zones. 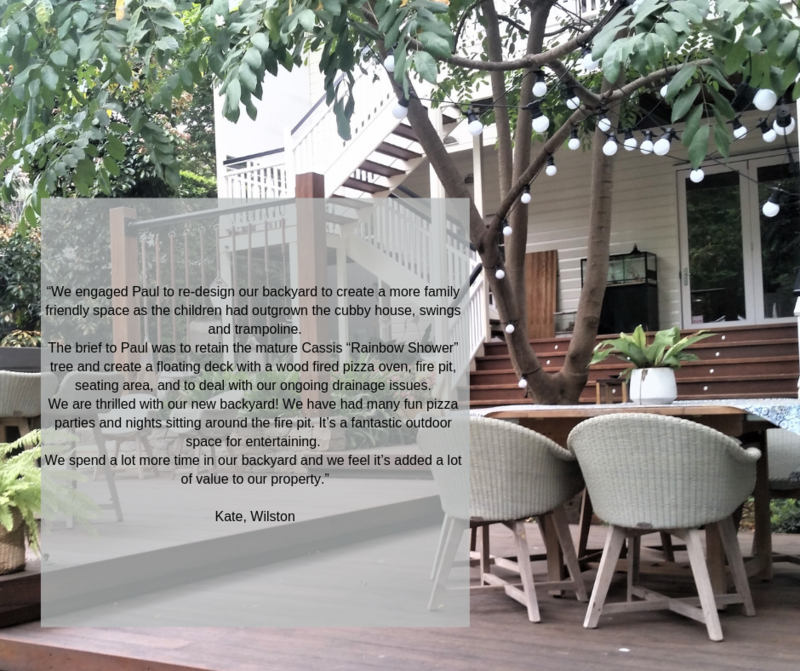 We designed the landscape for an amazing multi-million dollar high-end property in Hamilton, Brisbane, with great results for the family who required distinct lifestyle zones. 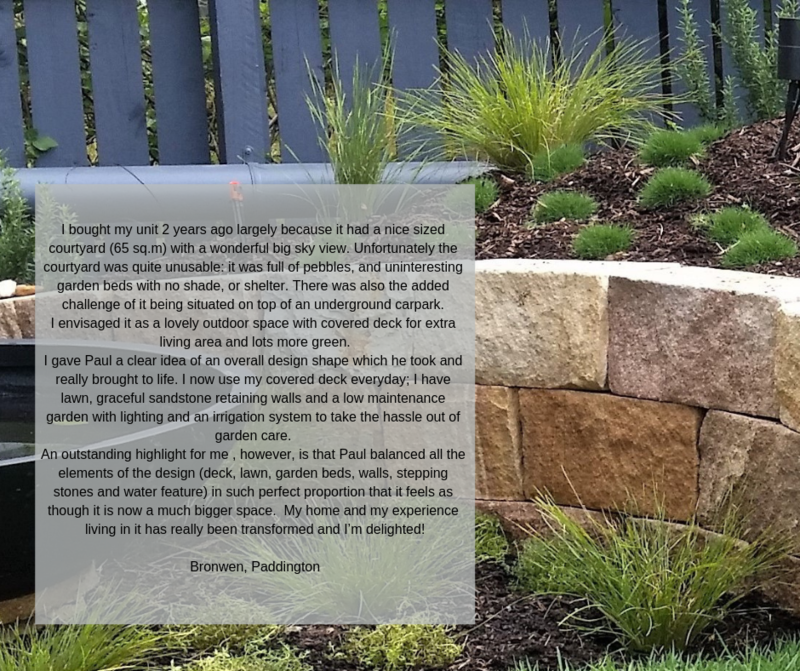 For each zone, we created a specialised planting solution that fulfilled the conditions of the each mini-environment, but also worked well together to provide a modern, cohesive look for this impressive property. With amazing views of the Brisbane river, the rooftop was a space that the family wanted to enjoy, surrounded by greenery. The appropriate plantings need to cope with the reflective light and heat in the soil and root system, as well as little irrigation. Rendered blockwork is a heat-sink that absorbs heat from the sun during the day, and releases heat slowly during the night. We chose adaptive succulents and desert/cactus planting in planter boxes due to heat in soil/root system. These were planted in low, wide pots to keep unhindered views of the Brisbane River and city line - a softening element to the overpowering paved surface. We used pots in a contrasting colour to punctuate as a soft focal point. We created lush screen planting in planters in shaded areas and around the pool. The focus of this area of the garden are the bespoke, laser-cut corten steel screens - a welcome visual break from the long, high rendered wall. These screens were custom-designed and made for the client, then attached to the wall. We created a gap between the wall and screen to provide shadow. This accentuates the screen pattern and as the sun and lighting changes during day and night, the screen pattern is dynamic, always changing. We created a deep planting zone in a 300mm wide garden, adjacent to the 6 foot block retaining wall. The tall plantings were chosen to soften the long, high wall, with lower plantings under the screens. The corten steel screens were repeated around the pool border to great effect. a shallow soiled zone - there were mere centimetres of soil - meant no soil to grow deep roots. a rock substrate meant no water penetration or absorption. a southern aspect meant no sun to advance growth. We chose hardy, adaptive plants including fleshy succulents and grasses, to create a lush feel to the front of the building. If you are interested in talking through the particular requirements of your residential project, please feel free to get in contact.